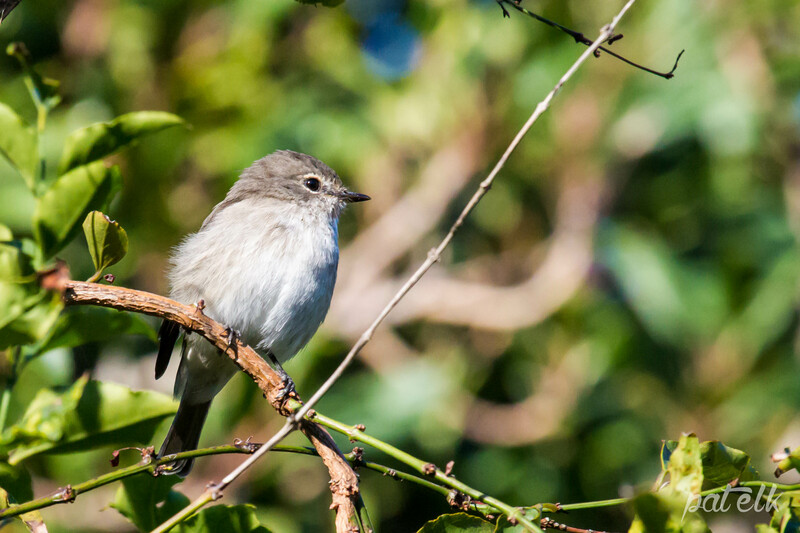 The African Dusky Flycatcher (Afrikaans name, Donkervlieevanger) is a common resident in riverine forests and well wooded gardens. Normally sits perched in the lower branches and swooping down on insect prey. Pretty little birds that are not that skittish while there is food around. We watched these for ages in the Kirstenbosch Botanical Gardens.